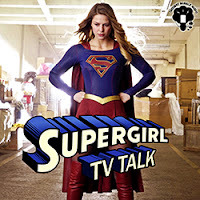 ☊ Podcast: Supergirl TV Talk 1x19: "Myriad"
NON-sense is running rampant in National City, Tim is a wordsmith, and Frank waxes philosophical. This week's podcast is chock full of more scenes straight out of Spider-Man, plus too many Cat Grant Quotes of the Week to choose from. All of this leads into next week's season finale!